Reactions to Environment Minister Jairam Ramesh's comment recently that India's premier institutes like IIT and IIM are "not world class" but only "excellent" have been sharp and critical. 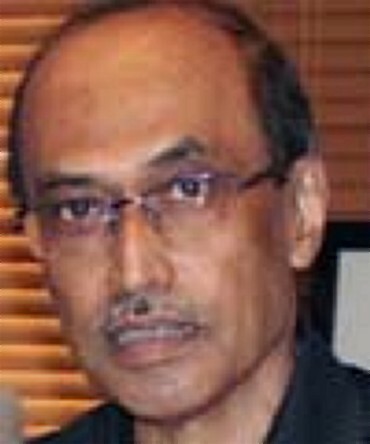 But IIM Ahmedabad director Samir K Barua says, a straight comparison of IITs and IIMs with global institutes, without accounting for the impact of the ownership on performance would be unfair. Recently, Union Minister for Environment and Forests Jairam Ramesh said that IIT, IIM students are "world class" and not the faculty members. I think the minister's comments were essentially on IITs. I am nonetheless responding to these queries, since IIMs too got involved in the larger debate. My response is to the generic issue raised by the discussions (and not to the minister's specific comment). The calibre of an academic ought to be judged using multiple criteria: quality of teaching, quality of research, quality of advice provided to the practicing world, quality of inputs provided to policy making, etc. It should not to be assessed based only on research. If multiple dimensions are used, calibre of faculty at IIMA (and I think at several older IIMs and IITs) is indeed excellent, comparable to the best comparable institutions in the world. 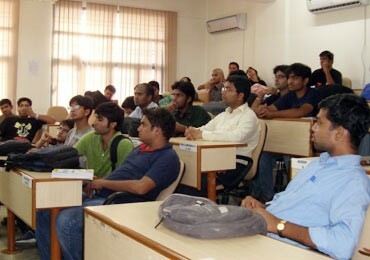 What according to you are the global standards for IIT/IIM faculty members? How relevant are these global standards to Indian education system? There is merit in benchmarking the education system and the academic institutions against foreign systems and institutions. However, such benchmarking or comparisons should lead to changes in policies in the education sector. Are IITs and IIMs at a level playing field vis-a-vis their global counterparts? IITs and IIMs are public institutions. This implies that they do not have the freedom that is enjoyed by the likes of Harvard, Stanford and Wharton which are private universities. Any comparison, to be fair, needs to take this into account. Is it fair to compare IITs and IIMs with global engineering and management institutes? A straight comparison, without accounting for the impact of ownership on performance would be unfair. Given the constraints on operations, I think IIMA (and several other older IITs and IIMs) have done very well. Education sector is one sector that still has excellent public institutions in the country, despite opening up of the sector to private players. This is certainly not true of other sectors that were opened up to private participation (such as airline, telecom). Major policy over-haul though is needed in the education sector, if we desire to avoid similar fate for the excellent public institutions in the country. Jairam Ramesh said that not much research has been happening at IITs and IIMs. 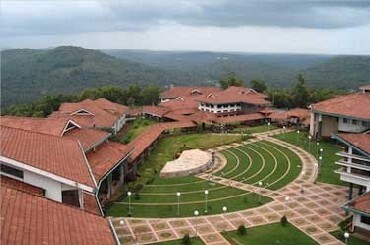 What is IIM-A doing about it? At IIMA we have taken (and are taking) a number of steps to enhance both the quantum and quality of research. Research however does not happen overnight. The results of these measures would be seen in the next few years. It would be worth mentioning that IIMA has been facing shortage of faculty for quite sometime now. The expansion of batch size for the PGP has added to the pressure. How important is research at IIM-A as well as for IITs and IIMs in general? Research is very important dimension, but it is not the only dimension for assessment of calibre or performance of a faculty. Since research is more easy to count in terms of number of publications (how many and in which category of journals), it tends to get compared across institutions (to the exclusion of comparison across other dimensions). In last five years, how many research papers of faculty and students from IIMA have been published in international journals? What is the institute's target moving forward in this regard? The data is published in IIMA's annual report and is available in the public domain. I would also assume that when we refer to 'international journals' we are referring to journals published in countries other than India. Several 'Indian' journals contain papers/ articles that are of excellent quality. 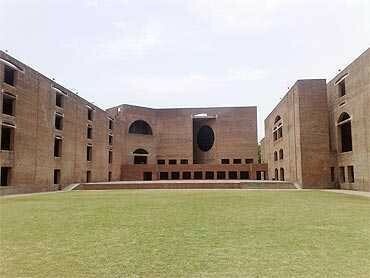 For example, IIMA's journal, VIKALPA has been published continuously (four issues every year) for about four decades. Over the years, it has published some excellent papers. There are several other Indian journals that would qualify for such accolades. Where would you as a director of IIMA rank your institute among other Indian institutes in terms of quality research done? Why? IIMA would rank among the top management schools within India in terms of quality and quantum of research done. The research done has directly impacted practice and policy making. IITs say they spend Rs 3.25 lakh on every PhD student and want to increase it to Rs s 4.5 lakhs. How much does IIMA spend? Where or by how much do you see the increase? How do you intend to fund it? IIMA funds the doctoral programme from its own resources. It does not receive any funding for the programme from the government. Doctoral programmes tend to be extremely faculty intensive. They add to the pressure in a situation where we have shortage of faculty. 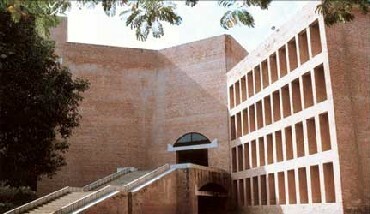 IIMA has about 80 doctoral students at any point in time on campus. The total annual cost of the programme is about Rs 50 million. 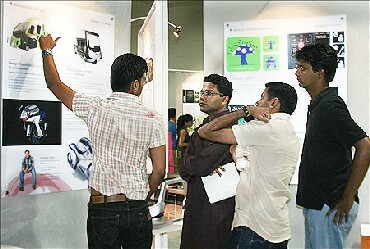 It is only in the recent times that IITs and IIMs are gearing to increase research output. Since most of these institutes have been functioning since decades, why was research not a priority earlier? Let us not forget that being public institutions, the priorities are often dictated by priorities of the nation. Is research the priority of the nation? Or is it producing number of graduates from institutions that carry the tag of IIT and IIM? Do we nationally worry about shortage of faculty that has been recognized and talked about for years? What have we done to set the agenda right for higher education? What have we done to enhance and harness the intellectual capital of the country in not just IITs and IIMs but other academic institutions of higher learning in the country? Having said the above, I would like to re-iterate that research has always been one of the priorities at IIMA. We have done what we can within the constraints and framework of being a public institution. And, under the circumstances, we have done well.